Today you can watch the new “The Best” FIFA awards ceremony taking place in Zurich on Monday night, 09 January 2017. The coverage begins at around 18:00 uk time and all the major sports channels around the world will have live coverage of the ceremony. 5 awards winner will be announced started with the men and women FIFA world player of the year. He won majority of the votes in new voting system where 200 respected football journalists from around the world picked their top 3 from 30-man shortlist and Ronaldo came on top by a good margin. He won Champions League with Real Madrid and UEFA Euro 2016 with his native Portugal. His Real Madrid side finished only 1 point behind Barcelona as he scored over 60 goals in a marathon season. This is his 4th Ballon D’OR awar and third in last four years. He is only 1 behind Lionel Messi who has 5 to his name. This was the 9 year in a row that either Ronaldo or Messi won the Ballon d’or. Ballon D’or 2016 award ceremony will be taking place on Monday, 12 december 2016 in Paris. The ceremony gets underway at around 5:30 pm uk time but there is unlikely to be any live coverage in the UK. The winner will be announced by 8:00 pm uk time which is likely to be Cristiano Ronaldo as the FranceFootball coverage has been leaked online since morning. 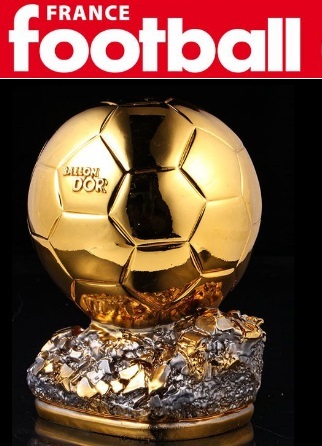 Couple of months ago FIFA and FranceFootball announced that they will be parting company and Ballon D’OR will revert back to its orignal format where around 200 respected journalists will decide the winner from 30 man shortlist announced a month ago. Following are the times are which the ceremony, press conference and the red carpet event are schedule to take place on 12 December 2016 in zurich. FIFA headquarters will host the big ceremony which will include selective list of guests including current and former footballers & professional coaches from around the world. Here are the details on how and where you can watch the ceremony live on TV and online. Like always many tv channels around the world will be broadcasting the ceremony which will take place on 11 january 2016. SkySports 1 HD will broadcast the ceremony live in the UK coverage starting with the press-conference at around 13:00 uk time. EuroSport will have live coverage in many european countries including UK. FoxSoccer Plus channel will be broadcasting the ceremony live on TV in United States and you can use the official website (foxsoccer2go.com) to get the live streams. FIFA’s official youtube channel But the best way to get access to live coverage is through (https://www.youtube.com/fifa ) which will be broadcasting the ceremony live in many countries around the world. Again the best way to watch the ceremony live is through FIFA’s official youtube channel which will broadcast the ceremony in many countries. Can Cristiano Ronaldo get 1 closer to Messi’s five ballon dor record by winning his fourth. Luis Suarez is also expected to make the shortlist which will be announce sometime in November 2016. I will think to win Cristiano Ronaldo. My favourite player of 2015 is Cristiano Ronaldo.CR 7 is best of the player 2015. I love Cristiano Ronaldo.CR 7 is greatest player of the 2015.I like CR 7.